We are very pleased to be returning to the SEG Conference & Exhibition, this year to be held in Anaheim, California. 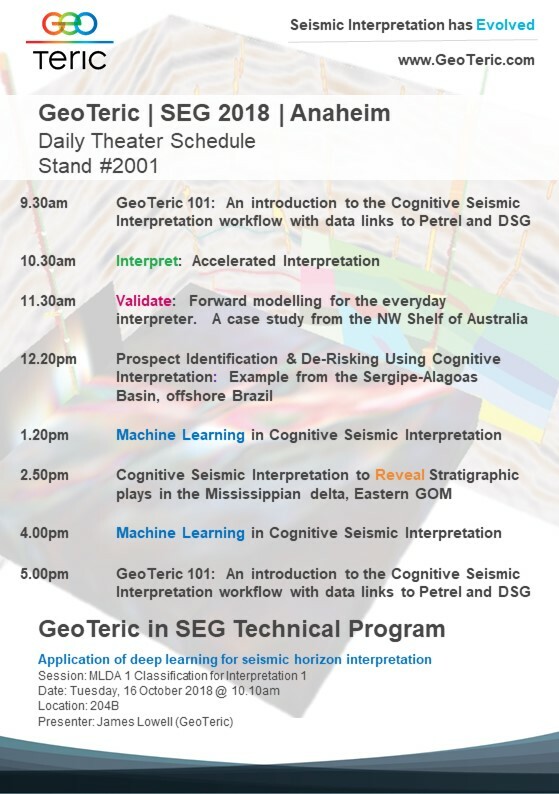 We're also pleased to announce that we have an oral presentation featuring GeoTeric in the SEG Technical Program. We are also hosting a prize draw on Wednesday 17th October where one lucky winner will receive an awesome pair of Bose Noise Cancelling Headphones. Drop by the booth for your chance to win! Ahead of the event, if you would like to schedule a meeting or a demo, contact Owen Lee, Global Account Manager at Owen.Lee@GeoTeric.com.